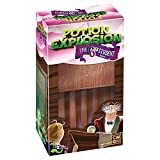 Your last year at the Horribilorum Sorcery Academy for Witty Witches and Wizards is almost over, and it's time for the final exams! 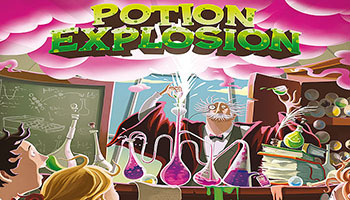 As always, the rules are the same: Take the Ingredients from the Dispenser in the Potions Lab to complete your Potions. Keep in mind that the explosions you may trigger can be useful! The use of Potions you brew during this exam is not only allowed, but encouraged! Use them wisely to do a quicker and better job, and it will prove your worth as a soon-to-be witch or wizard. When enough Skill Tokens have been awarded, the exam will end. 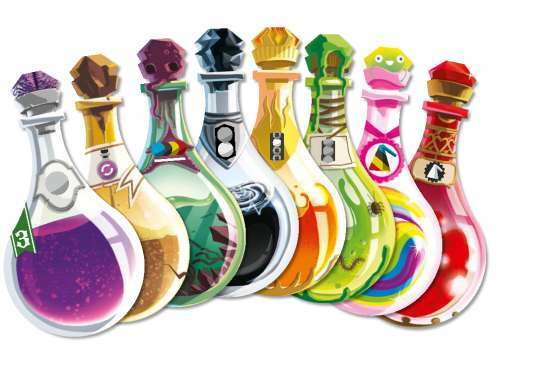 Remember, though, that in order to win the Student of the Year Award, you'll need to be the one who brewed the most difficult (and valuable) potions! 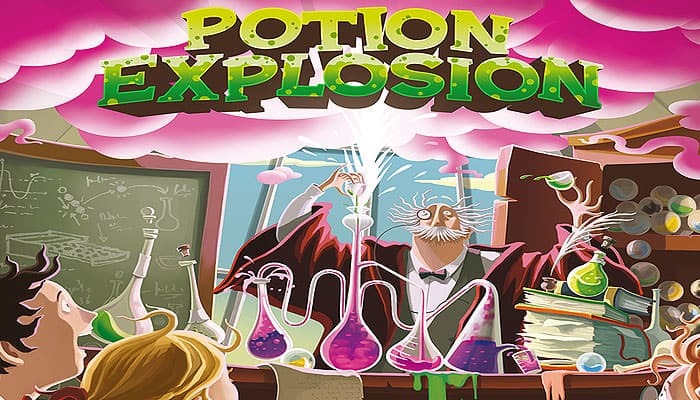 To brew your Potions, take one Ingredient marble from the Dispenser each turn, and make Ingredients of the same color collide to make them explode (and take them too)! 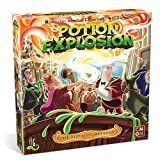 The bigger the explosions, the faster you'll brew your potions! Take one Ingredient of your choice from the Dispenser. No Explosions are triggered. Nothing's out of reach if you think it through. Steal all the Ingredients from 1 opponent's Pool. Why bother with theft, when all you need to do is unleash your dazzling charm? Take 2 adjacent Ingredients of different colors from the same slide track of the Dispenser. No Explosions are triggered. Unicorn tears are the purest fluid known in the world of magic. Just use a few drops to catalyze very powerful magical effects. Collecting unicorn tears is very easy! They are always depressed. Find one, make fun of his horn, and prepare for the shower. Bring a huge barrel. 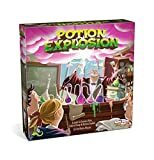 The toxic fumes exhaled by these dreadful reptiles are often used for their high magical reactivity. Beware, never, ever inhale them!